612 magnets. 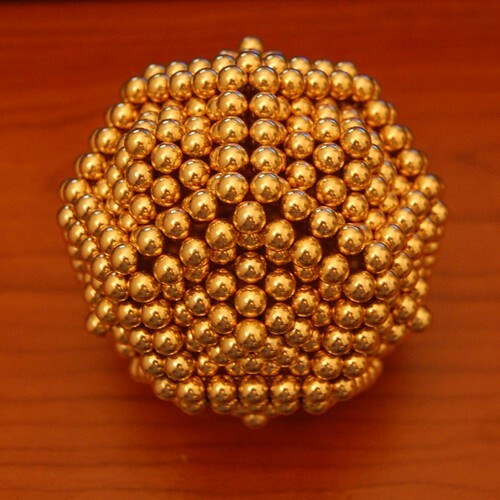 Each 20-magnet pentagon has a 31-magnet pentagonal pyramid mounted inside it pointing outwards. 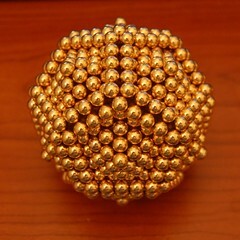 Magnet poles are aligned parallel to the perimeter of each pentagon, with the exception of the single top magnet which is randomly aligned. Adjacent pentagons have poles aligned in the same direction at the edges (as evidenced by square instead of triangular patterns at the edges).